Health Costs > How Much Does a Spinal Cord Stimulator Cost? How Much Does a Spinal Cord Stimulator Cost? A spinal cord stimulator, also referred to as neurostimulation, will use a low-voltage electrical current, emitted by a small generator implanted in the back, to help block the feelings of pain. This treatment won’t eliminate the pain, but rather, it’s going to override the pain messages you feel, essentially masking the pain. This simulator is often recommended for those who suffer from back-related nerve pain or have experienced a failed back surgery. It will almost always be considered as a last resort for those who are suffering pain and have tried all other options. On average, the total out-of-pocket costs, without any health insurance, can be anywhere from $30,000 to more than $50,000. While it is typically covered by health insurance providers, it will only be covered for specific conditions. For example, some insurance providers may only cover it if other conventional treatments have failed. Medicare will pay 80 percent of the costs as long as it’s deemed medically necessary. The Journal of Neurosurgery had found the average implantation costs ranged anywhere from $32,000 for Medicare patients to as much as $58,000 for Blue Cross Blue Shield customers, with annual fees reaching $5,000 to $21,3000. eOrthoPod.com says the average cost of the unit, along with the implantation can cost $21,595 to $57,800. The device itself can cost $19,000, on average, according to Modern Healthcare. Three manufacturers produce spinal cord stimulators—Boston Scientific, Medtronic and St. Jude Medical. Before the doctor even considers a spinal cord stimulator, he or she will first want to evaluate your situation to determine if you’re a candidate for the device. During this period, which can take up to 10 days, your doctor will see if the trial stimulator helps reduce your back or leg pain and if it meet your goals. If so, then a permanent device will be implanted. This can either be done that day or scheduled for the future. If the doctor deems the trial a success, then he or she will implant a permanent stimulator, which is usually performed near the abdomen or buttocks. Typically, this will be done under a general anesthesia, but there are other options available as well. Two incisions will be made — one for the neurostimulation pocket and the other on your back, which measures two to three inches long, on average. The incision position will all depend on your specific condition and the results the doctor had found during the screening test. Most patients will go home the same day of the implantation. The entire procedure will take one to three hours. Depending on your circumstances, an overnight hospital stay may be required, but most of the time, no stay is required since this is performed on an outpatient basis. You may be charged separately for the anesthetist and/or surgeon, for instance. This will all depend on the billing policy. The prices mentioned above don’t stop there. The average maintenance can cost anywhere from $5,000 to more than $10,000. These fees will cover hardware maintenance, x-rays, professional fees, advanced studies, and the battery will need to be replaced every three to five years. After the surgery, medication will be prescribed for a short period to help you recover. Since this type of treatment is only offered at a limited number of hospitals throughout the United States, you may find yourself traveling to a hospital and incurring lodging and travel related expenses. You will need to follow up with your doctor at least every six months to help you make adjustments and provide you with the best pain relief schedule. Patients may experience a spinal headache if the cerebrospinal fluid were to leak out from the epidural space. Other risks and complications may include significant scarring, drug allergies, pressure injuries, a stroke, heart attack, blood clot in the lungs and other rare complications. Spinal cord stimulation has said to have a 60 to 70 percent success rate in reducing the pain felt by more than 50 percent. 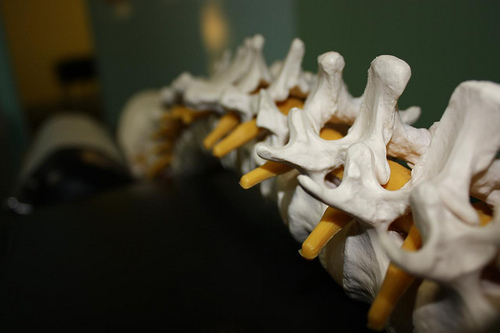 Spinal cord stimulation was approved by the U.S. Food and Drug Administration in 1984. If you don’t have health insurance, some hospitals may offer you a cash discount if you pay the bill in full. Talk with the finance department at the hospital or doctor’s office for more information.